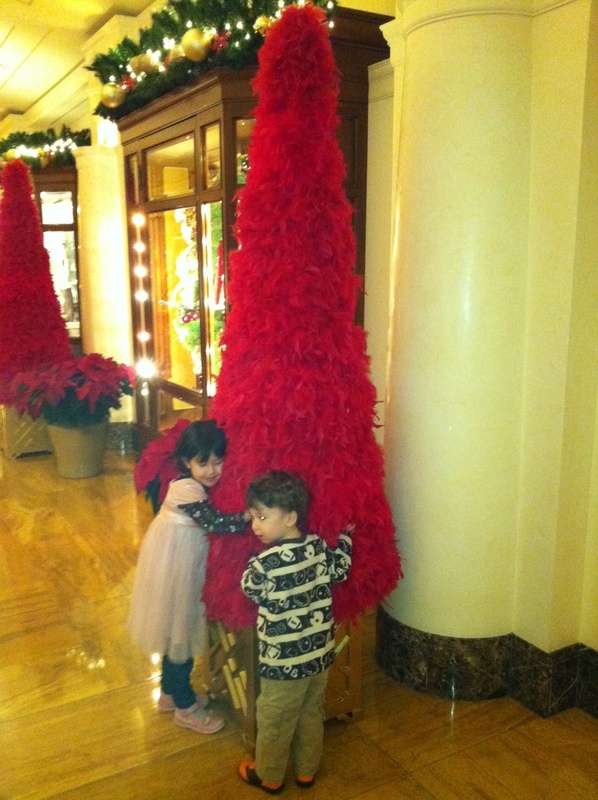 Yesterday I took my two little ones up to Chicago for lunch at the Peninsula Hotel. There we met my two sisters-in-law in what’s become an annual tradition over the last five years. 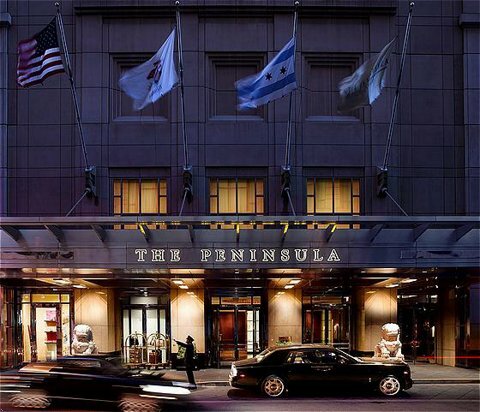 I like the Peninsula not so much because it’s a fancy hotel, but because it reminds me of the original Peninsula in Hong Kong. 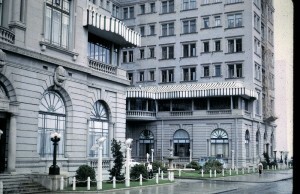 Okay, so the exteriors aren’t similar, but the Chicago Lobby Lounge was modeled after that in Hong Kong. 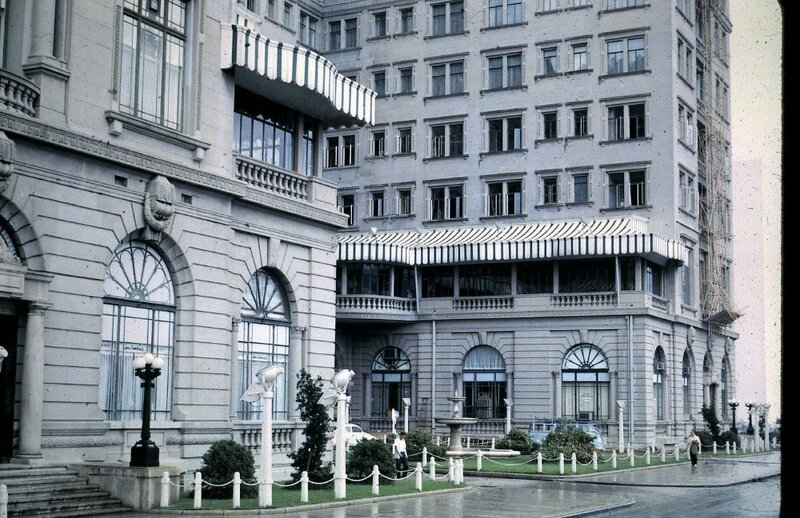 The original Pen was a popular meeting spot when friends or friends of friends came to Hong Kong when I lived there. We usually met for afternoon tea or sometimes a drink before dinner, because for a newcomer in Hong Kong there’s nothing quite as easy to understand as “meet me at the Pen”. So yesterday it was like stepping back into Hong Kong for a couple hours. My kids were by far the youngest, and quickly made their presence known. They sat still long enough to enjoy an appetizer of edamame. I ordered a truffle mac and cheese for them to share and a fancy version of beef pho for myself. But when they saw the beautiful presentation of the pho, they quickly gave up theirs for the pieces of wagyu beef and strands of long noodles in my soup. Then my sisters-in-law and I took turns chaperoning them around the Lobby Lounge. They covered most of the lobby. 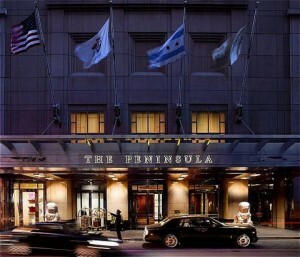 The Peninsula is owned by the Kadoorie family, Iraqi Jews who settled in Hong Kong 100 years ago. 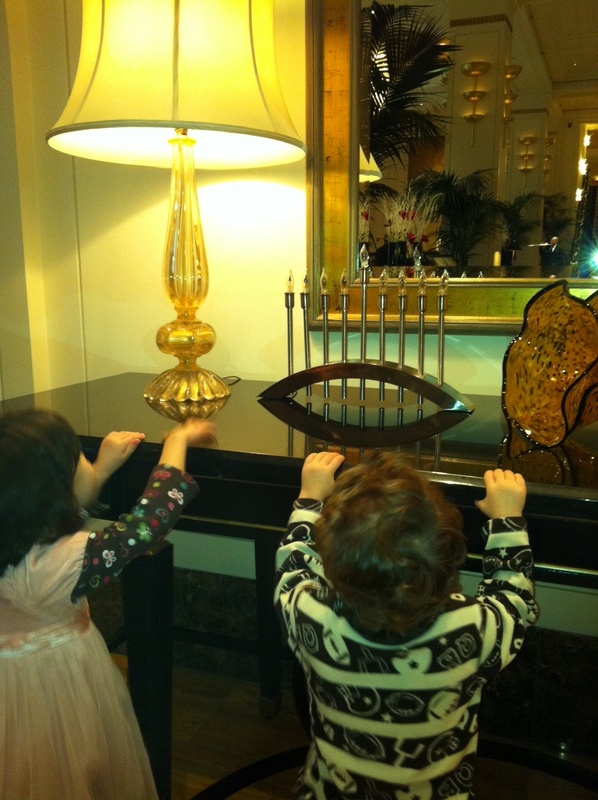 We enjoyed this nice touch for Hannukah, which starts tonight. 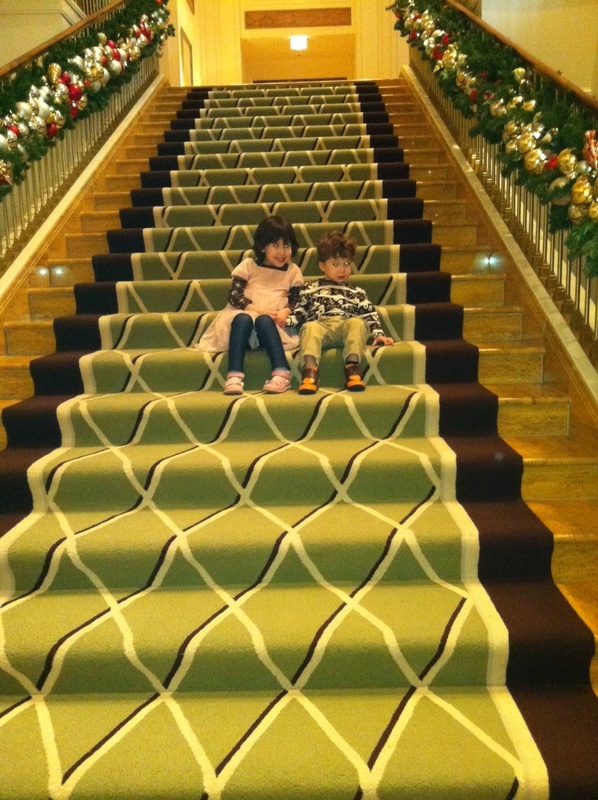 After two hours, I packed the kids up, said good-bye to my sisters-in-law, and headed back to the suburbs. My husband enjoyed the truffle mac and cheese that evening while the two of us sat down to watch Anthony Bourdain’s new show, The Layover. Last night’s episode was filmed in–where else–Hong Kong. 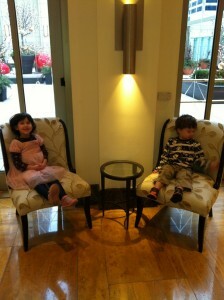 Nice hotel and beautiful kids you have. And happy holidays and a happy new year to you and family. Thank you so much! Happy holidays and all the best in 2012 to you, too!! Sveta! So great to see you on here! Thanks for your comment. It’s funny you should ask. My older son is 13 and is mixed. His dad is from Wuhan and now lives in Shanghai. My two younger ones are not mixed, but my new husband (and their father) has Asian eyes although he’s of Polish and Italian ancestry. Happy Chanukkah to you!! !